Following on from our reviews of the worst films of the year, we move on to Part 2 of our year end review of 2016. We’ve compiled our list of the year’s best films and we’ll start by running down from 20-11 – there was a lot of competition this year, but ultimately these are what we’d regard as our favourites. One of the most uplifting films of the year, ‘Sing Street‘ is a funny, charming and unashamedly nostalgic movie about growing up in Ireland in the 80s, as the narrative follows its lead as he forms a band with the intent of winning a girl’s heart. Like John Carney’s previous films such as ‘Once‘ and ‘Begin Again‘, the songs are terrific, the performances are great and he’s got a great ability to evoke feelings and emotions through the blend of cinema, and ‘Sing Street‘ is a superb movie. Based on a best selling novel, ‘Room‘ tells the story of a woman and her 5 year old child who have been held captive for a number of years in a small, crowded room. The movie version of that novel features arguably the best performance of 2016, and ‘Room‘ is a richly crafted drama that takes an incredibly dark subject matter and manages to create something moving and actually uplifting. Brie Larsen is outstanding, Jacob Tremblay gives one of the great child performances and the direction is flawless from Lenny Abrahamson, who is on top of his game. 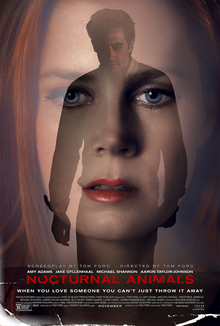 A superb psychological thriller that tells a multi layered story (with a film within a film that is better than most films I saw this year), ‘Nocturnal Animals‘ is further evidence of fashion designer turned director Tom Ford’s array of talents. Starring Amy Adams as an art gallery owner, the film focuses on how she is affected by her ex-husband’s new novel, a violent thriller he sends to and dedicates to her. Featuring an outstanding ensemble including standout displays from Jake Gyllenhaal, Aaron Taylor-Johnson and Michael Shannon, ‘Nocturnal Animals‘ moves seamlessly between narratives without ever losing sight of the parallels between the stories it’s trying to tell, and it is a terrifically entertaining movie. Jeremy Saulnier’s follow up to the excellent revenge thriller ‘Blue Ruin‘ disappointingly went under the radar, which is a shame as it features a chilling against type performance from Patrick Stewart as a vicious white supremacist and contains some of the tensest and frightening scenes in any movie you’ll see this year. 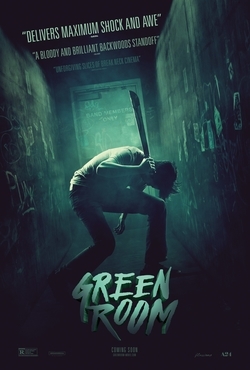 The narrative follows a punk band who take a gig at a dodgy woodland bar, and on discovery of something they shouldn’t have seen, end up locked in the ‘Green Room‘ of the title and face a battle for their lives. This is a gripping, taut thriller with a narrative that maintains a tight focus on the central event, and it’s worth seeking out if you missed it at the cinema. It also features a very good performance in one of his final roles, from Anton Yelchin, who tragically died earlier this year. Set in a luxury resort in the middle of the Alps, ‘Youth’ follows two best friends, Fred (Michael Caine) and Mick (Harvey Keitel) as they contemplate life and its end. Directed by Paolo Sorrentino, this film is a masterpiece of visual beauty, but there’s a lot to love in the story as well and the subtle way it delivers on its themes. Caine and Keitel are particularly moving as they discuss their careers, their pasts and what the future may bring, and this ties into the film’s themes of age and youth and the reflective way people look back on their lives. ‘Youth‘ also features an incredibly effective beautiful and melancholy score, anchored by Mark Kozelek’s beautiful ‘Ceiling Gazing’ under his pseudonym Sun Kil Moon, and it’s worth recommending for the score alone. In previous years I’ve crafted a separate list for documentaries, mainly so I can cram more films into my main list, but also because I’ve usually managed to catch a reasonable amount of those released in the cinema. This year I’ve only seen around 6 or 7, so it wouldn’t feel right trying to arrange them into some kind of order given I’ve missed many of the best appraised documentaries, so I’ve considered them alongside my main list. That’s a long winded way of explaining ‘Supersonic‘s place in my best films list of the year, but it’s a film I really loved about a band I’m incredibly fond off as one of my favourite bands whilst growing up. Ignoring my vested interest, I do genuinely believe this is an excellent documentary as it focuses on a two year period in the band’s lifespan from their formation to their Knebworth shows, when they were arguably the biggest band in the world. 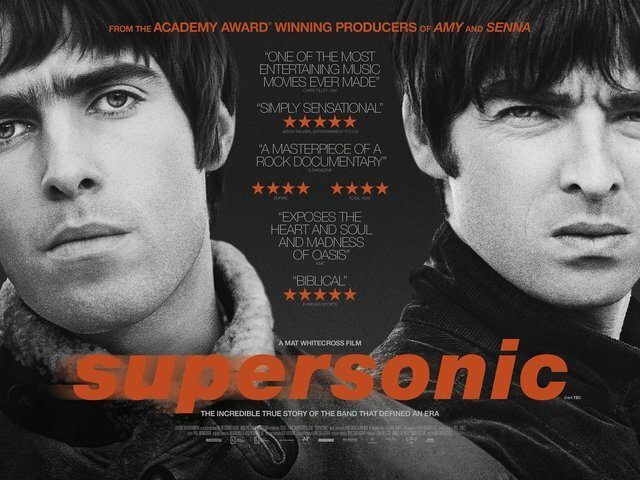 It’s very insightful, features great commentary from Liam and Noel and it does a superb job of capturing this particular moment in time, making me nostalgic in the best way. As a sidenote, one of my close friend’s died earlier this year and he was incredibly passionate about Oasis, so I felt a more profound effect from watching the documentary as a result. In some quarters, ‘Everybody Wants Some! !‘ has been described as misogynistic, largely due to its focus on a core cast of male characters as they spend their first weekend at college in 1980, and whilst that focus is true, I feel that’s a lazy swipe for a film with more to say than it may appear on the surface. It’s directed by the versatile filmmaker Richard Linklater, who was responsible for ‘Dazed and Confused‘, and this film works very much like a spiritual companion to that film, both in style and structure. Linklater perfectly evokes the time period and the feelings of burdening adolescence and he encapsulates the experience of starting college (or university this side of the pond) superbly in ‘Everybody Wants Some! !‘ and I thought it was a really funny, entertaining movie, with a great soundtrack. One of the more unusual experiences I had at the cinema this year was the outstanding and truly original ‘Embrace of the Serpent‘ a Colombian film that follows the same Amazonian shaman in two timelines as he journies with two scientists through the Amazon river in search of a rare and sacred plant known as the yakruna. The shaman is the last survivor of his tribe and through him, the film explores themes such as culture, learning and colonisation through his experiences at the turn of the 20th century. I found ‘Embrace of the Serpent’ to be reminiscent of many great river movies such as ‘Apocalypse Now’ or ‘Deliverance’, mainly in the way it fully embodies its environment, almost creating a character in itself from the river and the surrounding jungle. In particular it veers closest to ‘Aguirre, Wrath of God’, the great Werner Herzog movie, largely through its unbending portrayal of an otherworldly existence that feels untapped and untouched by what we westerners would class as the ‘modern’ world. ‘Embrace of the Serpent‘ is a truly arresting cinematic experience and for those looking for something different from your standard multiplex fare, this is a richly rewarding movie. 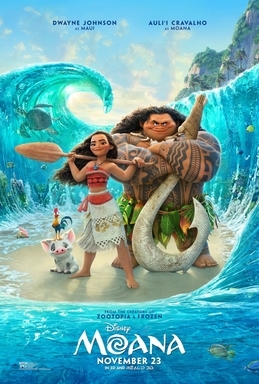 Disney continues its recent strong streak with ‘Moana‘, arguably the best of the lot, the story of a Polynesian princess who must set off on a quest to restore the heart of the ocean. Luscious cinematography, beautiful animation and some terrific songs all combine to create an uplifting and emotionally satisfying viewing experience, and more than anything this is just a really enjoyable movie. 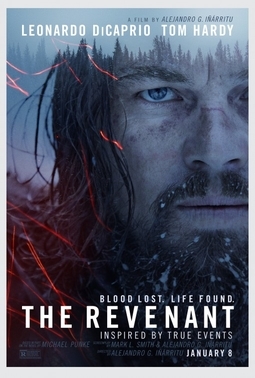 Leonardo Di Caprio won a long overdue Academy Award for his portrayal of fur trapper Hugh Glass in ‘The Revenant‘, and whilst I have my own views on his performance (see the full review above), ‘The Revenant‘ itself was a thrillingly immersive cinematic experience. It’s a survival epic set against one of the harshest landscapes around and director Alejandro González Iñárritu gets right to the heart of his environment to bring the story to life. It’s impeccably crafted from a technical perspective but it’s also incredibly engrossing and entertaining as we follow Glass’s attempts to reach safety after a potentially fatal bear attack, and this is an example of filmmaking at it’s boldest and most exhilarating.